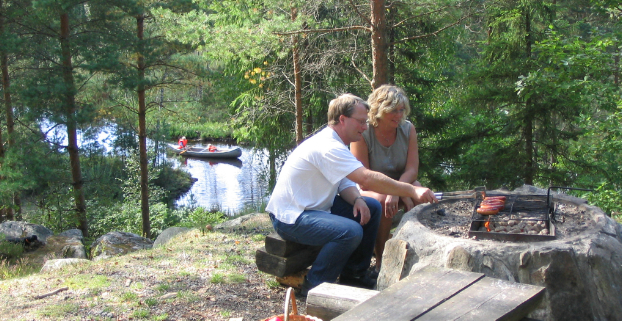 Quiet, peaceful, solitary, surrounded by miles of forest, next to the clear source lake of Lake Mien, can be found Sweden's most southerly wilderness campsite. In a woodland area of 80 hectares, with 5 km of shoreline which has run wild. You can fish, bathe and go for walks in the forest here.